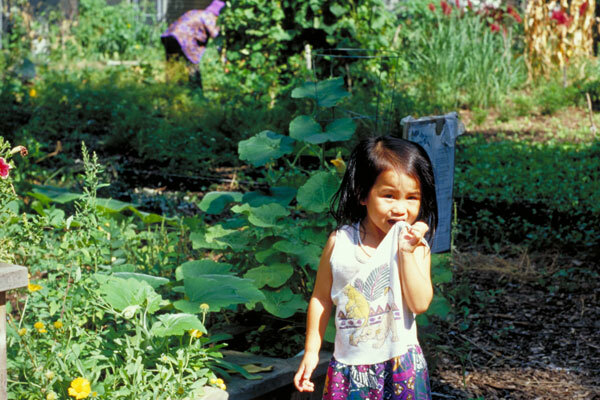 For years, residents of Minneapolis's culturally diverse urban core have been turning trash-strewn vacant lots into flourishing community gardens that produce food, flowers, and community pride. The lots had been leased on a season-to-season basis by the Minneapolis Community Development Agency (MCDA), but in 2002, the agency announced plans to sell nine for development. Responding to passionate appeals from the gardeners, the MCDA agreed to sell the properties as gardens. Two local nonprofits—The Sustainable Resources Center and The Green Institute—asked TPL to help raise funds and conduct the real estate transactions. In 2003, we permanently protected the ninth and final garden. The project was supported by grassroots fundraising and by the City of Minneapolis.